In many parts of the country, the name “Levitt” has become synonymous with “free outdoor concerts,” “revitalized spaces” and “citywide destinations” open to all. And for good reason—in 2015, more than 400 Levitt concerts will be presented in 16 cities, bringing the joy of free, live music to hundreds of thousands of people of all ages and backgrounds across America, ensuring access to the arts and strengthening communities in the process. 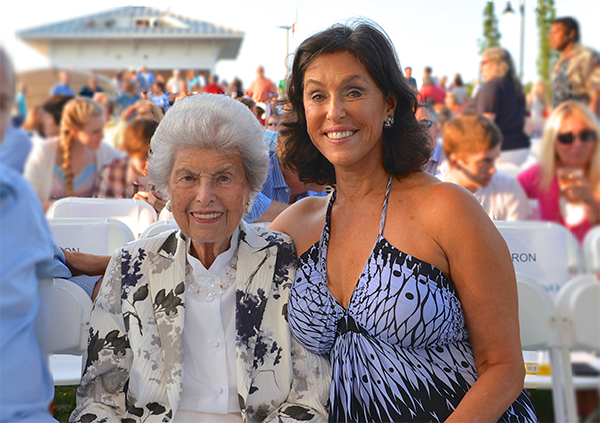 America’s largest free outdoor concert series is made possible, in part, by the generous philanthropy and forward-thinking vision of the Levitt family—the late Mortimer Levitt (1907-2005), whose humble beginnings inspired his lifelong love affair with free music under the stars, his wife Annemarie “Mimi” Levitt, and daughter Liz Levitt Hirsch. 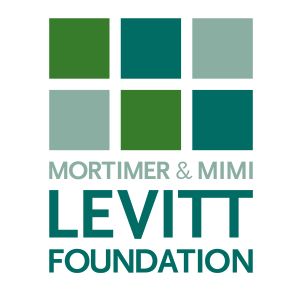 Since Mortimer’s passing in 2005, Mimi and Liz have taken the reins of their private family foundation, the Mortimer & Mimi Levitt Foundation, and have led it with aplomb, honoring Mortimer’s legacy while directing more than $18 million in grants to support the core Levitt program of outdoor music venues presenting free concert series, along with other meaningful projects that invigorate communities through the arts. “I’m very proud of the people who are working to sustain the present pavilions, and those who are working to create more pavilions,” said the 94-year-old Mimi. “Mortimer himself would be very impressed with the current Levitt organization, how it has grown and developed. Liz is the ideal person to carry this forward.” Theirs is a special mother-daughter relationship, one that is filled with love, camaraderie and a shared commitment to philanthropy. “My mother inspired me to make philanthropy a priority in my life and has mentored me along the way,” said Liz. Mimi and Liz also share a deep passion for music and using the arts as a source for positive social change. This belief in the power of the arts to transform drives the Foundation’s giving philosophy. The Levitt Foundation functions as both a catalyst funder—supporting projects in need of early-stage seed funding—as well as one dedicated to sustainability. As Liz explained, “We have a history of being there at the beginning, to help projects get off the ground that aim to inject new life into communities.” Indeed, it was the commitment of significant seed funding, along with the Foundation’s pledges for annual support and valuable in-kind resources, that helped communities in Pasadena, Calif.; Los Angeles; Memphis; Arlington, Texas; and Bethlehem, Pa., generate the necessary momentum and local support to build or renovate permanent state-of-the-art outdoor music venues, present 50+ free concerts every year, and, ultimately, transform neglected public spaces into thriving destinations open to all. New Levitt venues are in development in Denver and Houston, opening in 2016 and 2017 respectively. The Foundation has also been a catalyst funder for other types of concert series beyond the core Levitt program. During the past decade, Liz, who is based in Los Angeles, has overseen early-stage grants to Make Music Pasadena, now the West Coast’s largest single-day free music festival; higher education institutions like the California Institute of the Arts Wild Beast Music Series and Scripps College’s Levitt on the Lawn, to create free on-campus concert series for the entire community to enjoy; an artist recording studio at Cal State Northridge’s KCSN radio station to present live, on-air music performances; as well as early support for performing arts organizations like The Broad Stage, Center Dance Arts and Hollywood Arts. Most recently, the Foundation partnered with Levitt Pavilions to award $250K to support the new creative placemaking grants competition, the annual Levitt AMP [Your City] Grant Awards, to activate dormant public spaces in 10 small and mid-sized towns and cities across America through free concerts. “It’s exciting for the Foundation to expand the ways we can realize our vision for an America filled with vibrant public spaces, creating community and human connections that extend into daily life,” Liz expressed. “With Levitt AMP, we’re able to increase our impact and extend the spirit of the Levitt program to communities that, based on size, wouldn’t qualify for a permanent Levitt venue.” Similar to the signature Levitt program, Levitt AMP grants are community-driven. Complementing their role as venture philanthropists, Mimi and Liz both practice a more supportive style of philanthropy that goes beyond simply writing a check. From helping launch projects to ensuring resources and assistance to sustain them, Mimi and Liz’s dedication and support has made a lasting impact on the long-term health of Foundation grantees. “My mother has always been a very involved philanthropist, something that has inspired me,” explained Liz. She recalled Mimi’s efforts during the mid-1970s to create a historic landmark district along New York’s Fifth Avenue. “In addition to donating funds, Mom singlehandedly took it upon herself to form a committee, go to court and lead efforts to stop the destruction of historic homes along Fifth Avenue.” Mimi’s engaged approach found another important outlet with the 1974 opening of the first Levitt Pavilion in Westport, Conn. In addition to Mortimer and Mimi being the project’s largest supporters to transform the town dump into an outdoor band shell for free concerts (hence its name Levitt Pavilion), Mimi spent decades as an active member of the Levitt Pavilion board, helping the Westport concert series flourish and become a beloved community treasure. Years later, Liz’s style of philanthropy mirrors the engagement of her mom. “I always felt a need to be of service. Serving on nonprofit boards has deepened my understanding of philanthropy and continues to inform my work with the Levitt Foundation,” Liz said. Liz was a founding board member of both Levitt Pavilion Pasadena and Levitt Pavilion Los Angeles, helping both projects get off the ground, as well as other nonprofit arts organizations like Center Dance Arts and Hollywood Arts. As a result of being engaged philanthropists with decades of board service between them, Mimi and Liz prioritize providing support to grantees beyond traditional grants. During the past decade, the Foundation has become a more participatory grantmaker, developing a variety of capacity-building resources for grantees, as well as technical assistance and best practices to ensure maximum impact. Looking ahead, the Foundation’s focus on creative placemaking projects promises to grow as more communities seek to activate public spaces through the arts. Mimi and Liz will continue to lead the Foundation’s exploration of new ways to increase impact, including partnerships with other foundations and organizations. “We look forward to broadening the reach of the Foundation in the coming years, creating new opportunities for people to come together through music,” said Liz. This entry was posted in Arts Access, In Their Own Words, Levitt AMP, Levitt in America, The Levitt Effect and tagged Liz Levitt Hirsch, Mimi Levitt, Mortimer & Mimi Levitt Foundation, Mortimer Levitt on April 16, 2015 by Vanessa Silberman.